Darrell Waltrip’s 2012 H of F Hooded S/S. 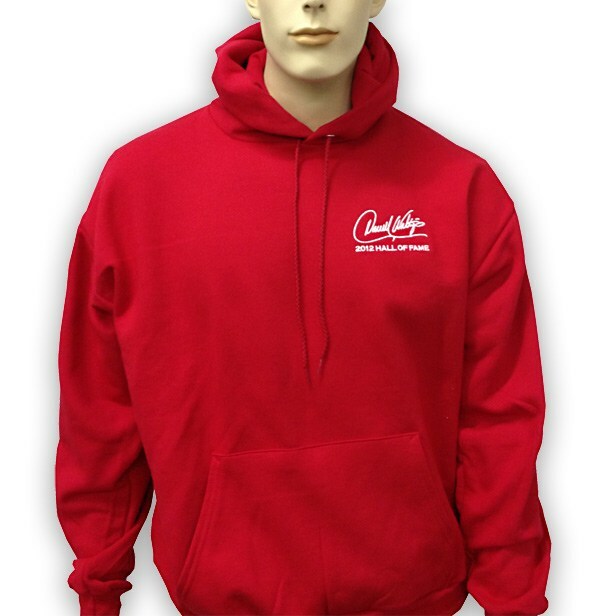 Enjoy this Deep Red Hanes® Comfortblend® Pullover Hooded Sweatshirt featuring DW’s 2012 Hall of Fame Induction. The Hooded Sweatshirt is a 7.8 ounce, 50/50 cotton/poly low-pill Air Jet Spun Yarn. Also has set-in sleeves, front pouch pocket and a two-ply hood with grommets and dyed-to-match drawcord. Looking Good!